ith a 450-foot lazy river, slides that twist and turn, gigantic flip flops you can hop across, and a bar you can swim up to, your vacation just became an adventure all on its own at our rooftop Waterpark! Grab your sunscreen, a towel and your inner child - as well as any actual children you may have - and head on over for a summer escape that actually feel like one. Book your stay. Come and Play. 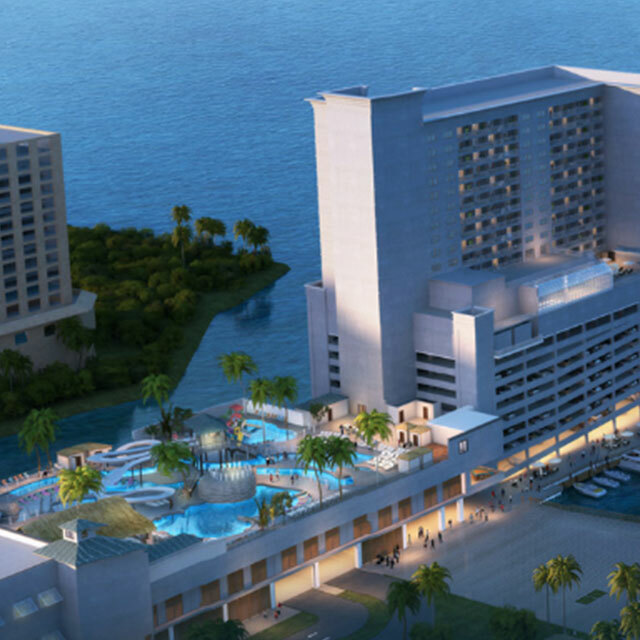 xperience paradise here on the Gulf Coast with a family-friendly hotel featuring Escape, the largest entertainment complex on the Gulf Coast, an exciting water playground, and a taste of the good life with a variety of dining and entertainment. Our pool will OPEN March 2nd for the spring and summer, so book your vacation with us today. 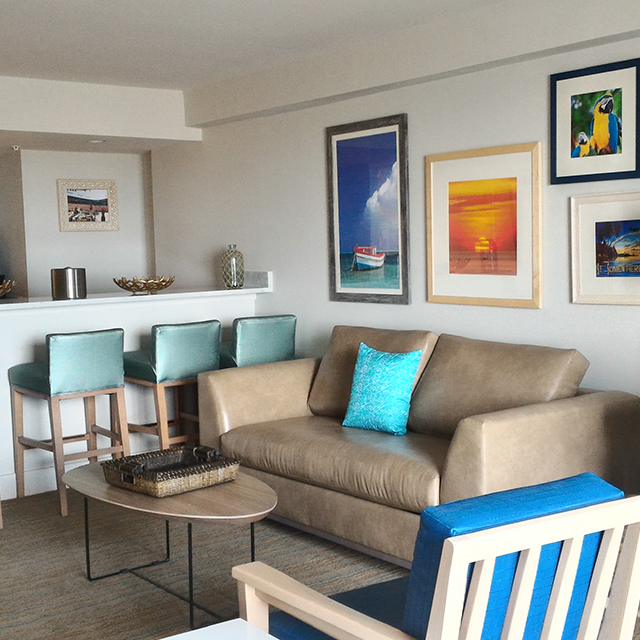 We look forward to seeing you here in paradise! 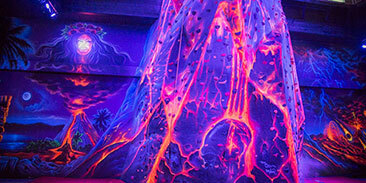 Climb a Volcano, soar through the sky on our Cloud Coaster, challenge your friends to a boutique bowling game and so much more in our state of the art arcade! Relax in our 450-foot lazy river and lounge pool with swim up bar. 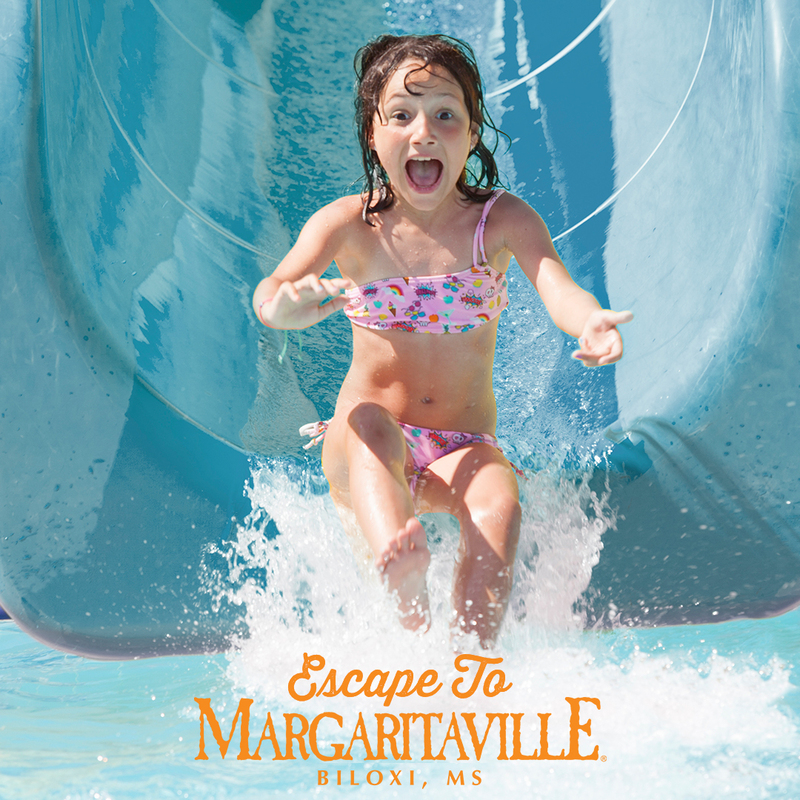 Play the day away on our two water slides, splash pad and rope traverse. Opening March 2nd for the season. 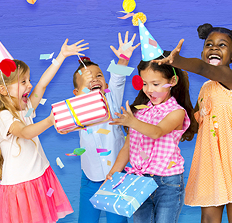 Celebrate birthdays with our party room packages which include everything you need to give your child an experience they will always remember! 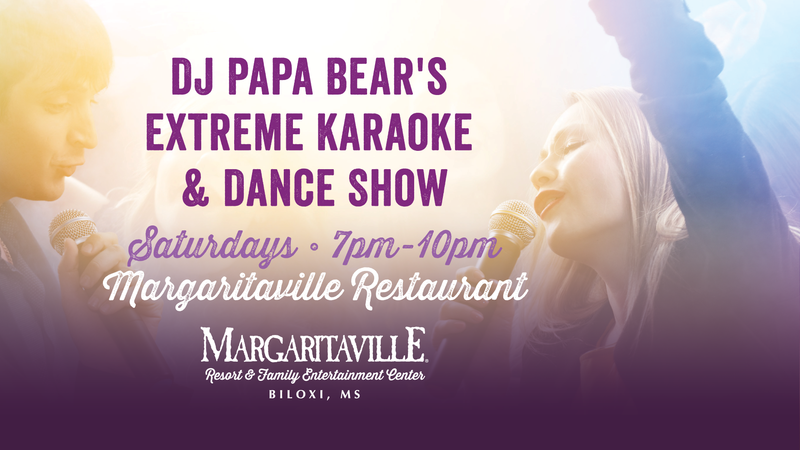 very Friday this month we will have LIVE MUSIC for Biloxi! Relax and enjoy your weekend with some good food, cold drinks and great music! All ages are welcome! The Coast's best happy hour! ooking for the fun and a delicious chilled concoction?! 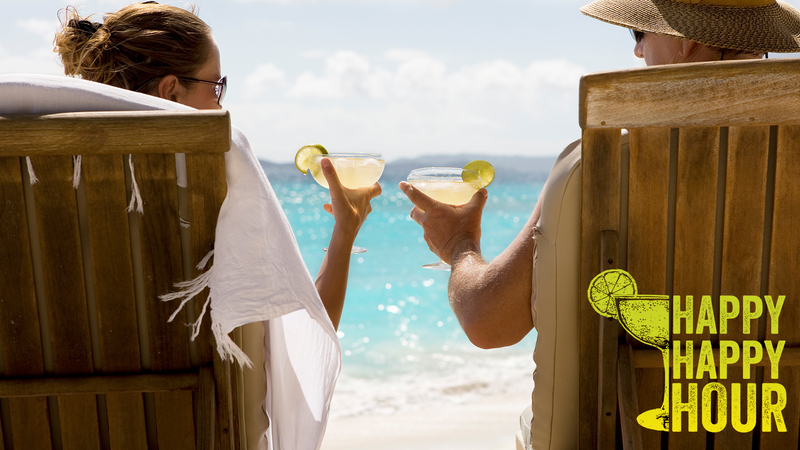 Escape to Margaritaville for the Coast's favorite Happy Hour! Monday-Friday 5pm-8pm. 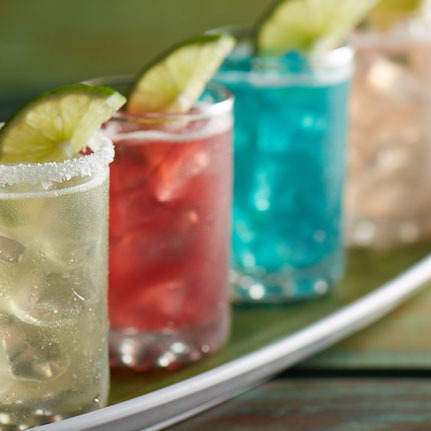 Enjoy $5 Margaritas and $3 Well Drinks & 12oz Draft Beers available at LandShark Bar & Grill, Margaritaville Restaurant, and Lost Key Bar! Doe’s Eat Place has also prepared a $5 Select Martini Menu and $5 Select Wines! 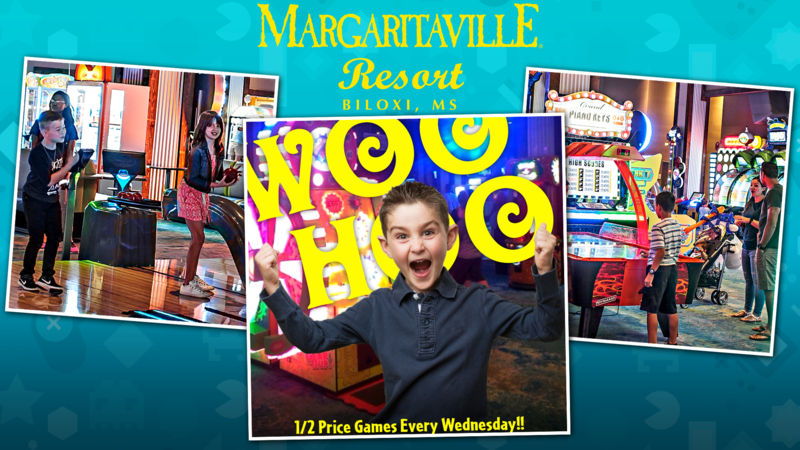 Join us for WooHoo Wednesdays for 1/2 Priced Games ALL DAY!! 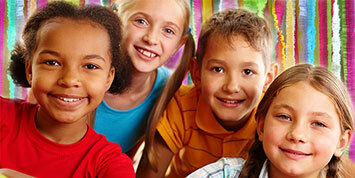 ESCAPE Family Entertainment Center is the perfect place for family fun every day of the week, rain or shine. 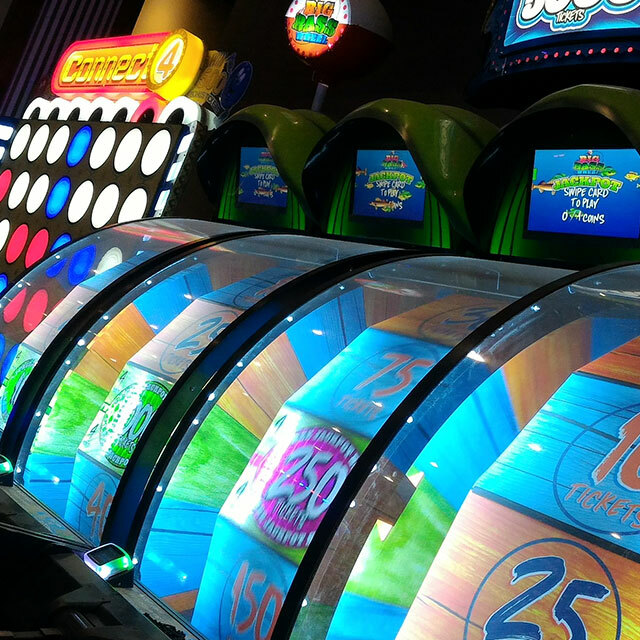 We are the only arcade on the Gulf Coast where you can earn rewards like FREE play, gifts, and stays at the resort! For more information on how you can earn rewards by having fun, CLICK HERE!